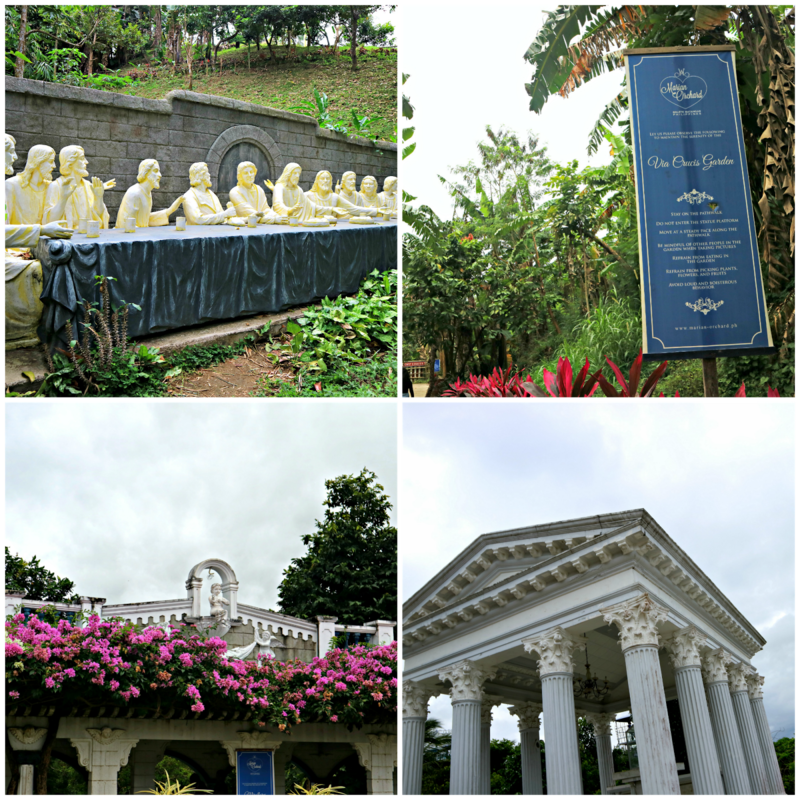 It was one fine day when we visited Marian Orchard. Although it was raining in the morning, it didn't stop us from exploring this beautiful garden situated at Balete, Batangas. Yup, South. And thanks to Ian, it was an instant road trip with him, Rae, and Atheena. Like I would always mention, South is so foreign to me that if you ask me to go there alone, I would probably end up getting lost. No exaggeration. And since there are many visit worthy places now in the South, I should at least try and memorize some of it to the best of my capabilities. You know, impromptu Tagaytay? Sounds familiar? Yeah. it happens. What I haven't tried yet in South I think is climbing mountains. Mt. Batulao sounds interesting. Calling all my adventurous friends! HAHA. 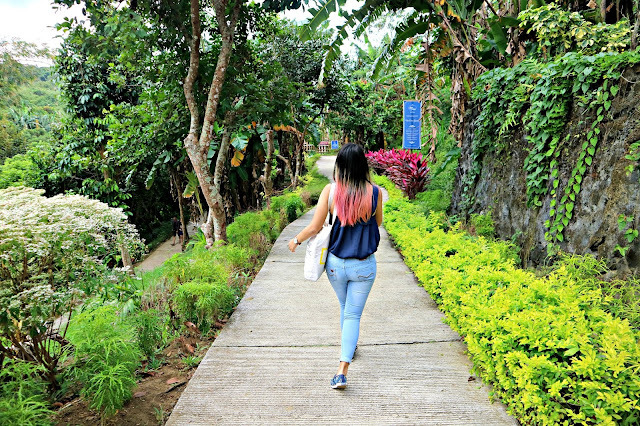 So yeah, until all my other South itineraries push through, let's talk about this not so secret garden anymore but a hidden gem nestled in the province of Batangas. Ian fetch us at around 7:10 am and we arrived at Marian Orchard past 9. It was a Sunday so there was no traffic and it was just a combination of chill and a relaxing Sunday morning (cue in Sunday morning by Maroon 5). 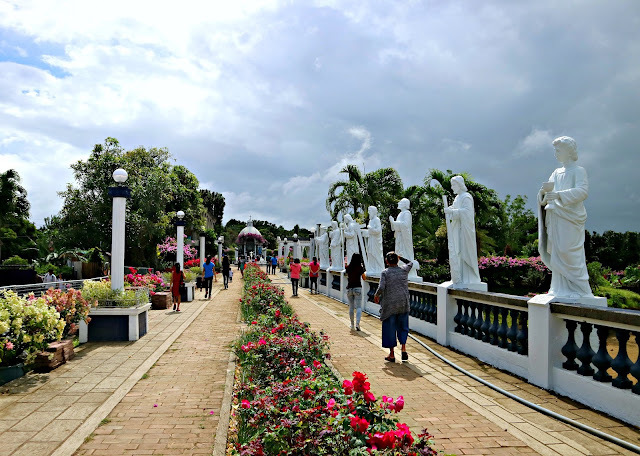 For some, Marian Orchard is their side trip after visiting Cintai Corito's Garden (known as the Bali of the Philippines) but for us, it was our main destination for the day. 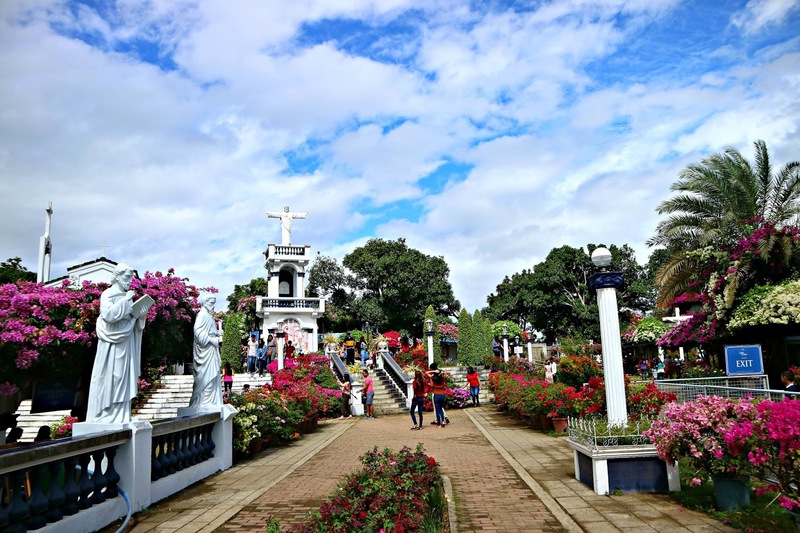 Cintai Corito is just a few blocks away from Marian Orchard so no wonder why people visit this 2 places at the same time. It's just that you know, when you're broke as hell but itchy feet is itching, you just have to choose which one you'd like to visit. So we stick with our budget and let Cintai Corito pass.. We can come back if we want to (and if we already have budget for this. lol!) so no worries. So yeah.. after a short morning drive, we arrived at Marian Orchard. First impression? It's so girly.. and calm. 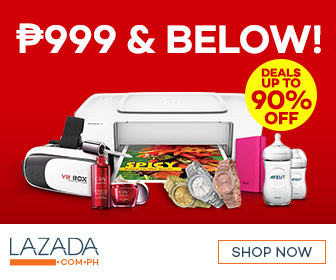 Entrance is 50 pesos (swak na swak sa budget!). Flowers would welcome you to the garden (obviously!). There are already a lot of people taking pictures. 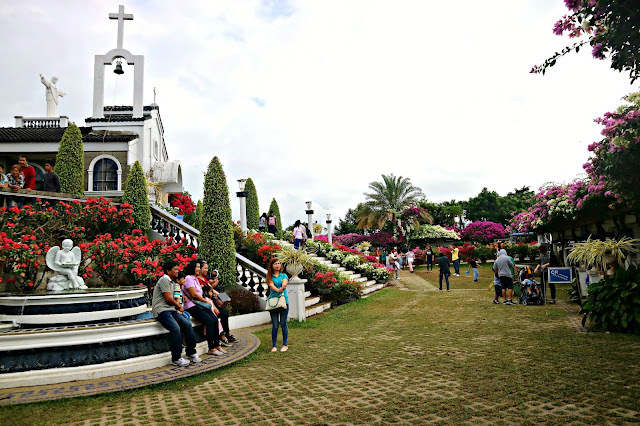 I guess this place gets really crowded during weekends especially on Sundays when the mass is held. Some having their mini photoshoots. 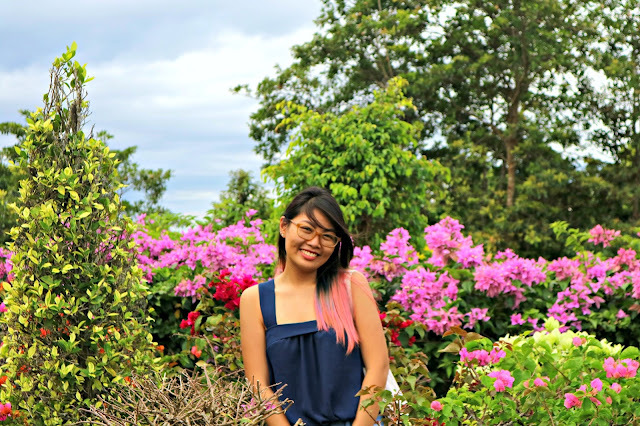 I love how pinkish the flowers are because I've never really seen a garden like this with flowers that looks so nice. Just how pink can it be? 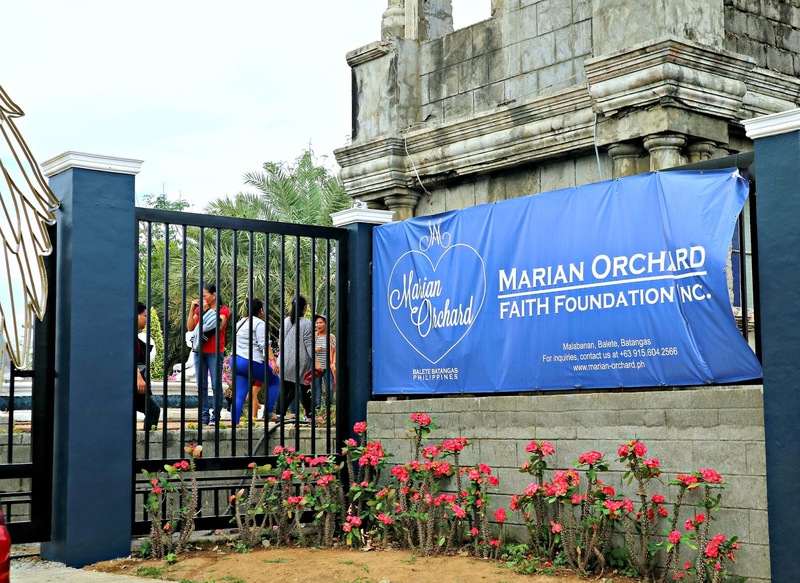 Marian Orchard is also known for its Immaculate Heart of Mary Chapel where people can attend mass. During our visit, it was 4PM and so we weren't able to attend. If you know Brazil's Christ the Redeemer, then you would probably notice its mini replica here which is called the Sacred Heart Tower. I admit, it was an enchanting garden. It also houses a prayer garden where it shows the different stations of the cross. Being a Catholic country, it's not surprising to see stuff like this anymore. I am just in awe on how they made the garden more beautiful. I can't really explain how lovely are the flowers but it just makes everything so picture perfect. Like you just can stand in front of it effortlessly, take the shot then ta-da! instant profile pic. Lol! There's also a viewing deck 3 to 5 storeys high where you can see an overlooking view of the Taal lake. I don't know if people visiting this place notice the viewing deck but if you visit this place, make sure to go to the viewing deck! You will miss a nice view if you won't. I'm telling you.. :) It was indeed a nature trip. The breeze of the air plus the surroundings, it was a great Sunday. 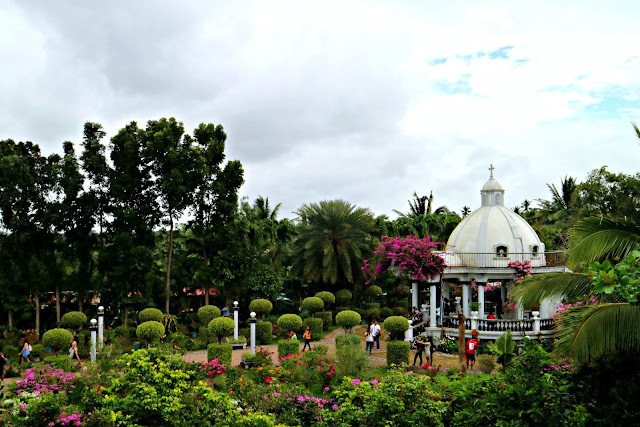 If you're a fan of lowers and gardens, then I am sure you will really love this place. As for food, they have a mini sari-sari store inside but there are no restaurants. You can probably visit this first then have your lunch somewhere else. Just like what we did (see this post). If there's one thing I probably didn't like during our visit is the bipolar weather in the morning. Aside from that, it was a nice day to appreciate the beautiful flowers surrounding us. I am very happy that trips like this that doesn't require a flight is now becoming famous. 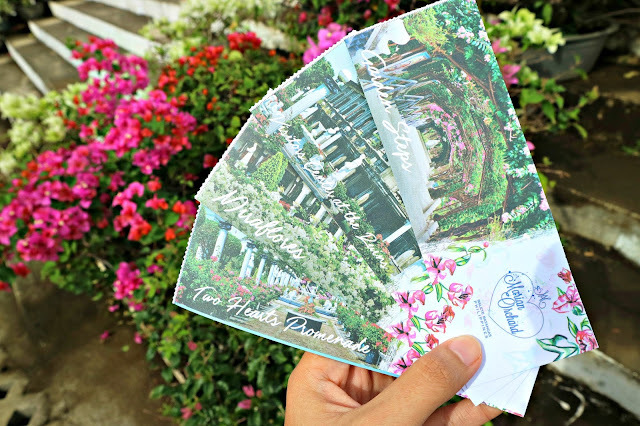 I always see Facebook post related to destinations and guides that are very easy to go to plus really affordable and can be visited just by 1 day. 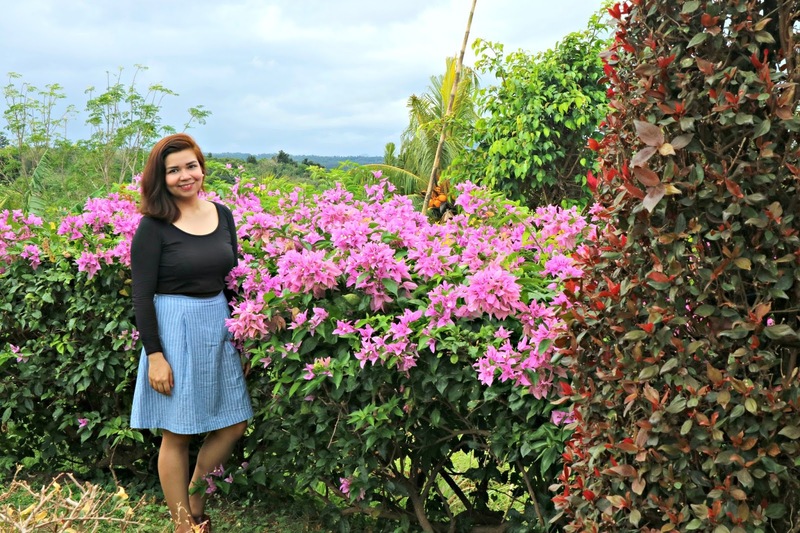 This year, I am planning to tone down travelling a little bit so you might not see me going to different places that require flights. My last flight for this year will be on April going Malaysia and after that, I will try to focus on other things. But like I also said, the urge to travel is still there. Probably would still do but just like trips like this. 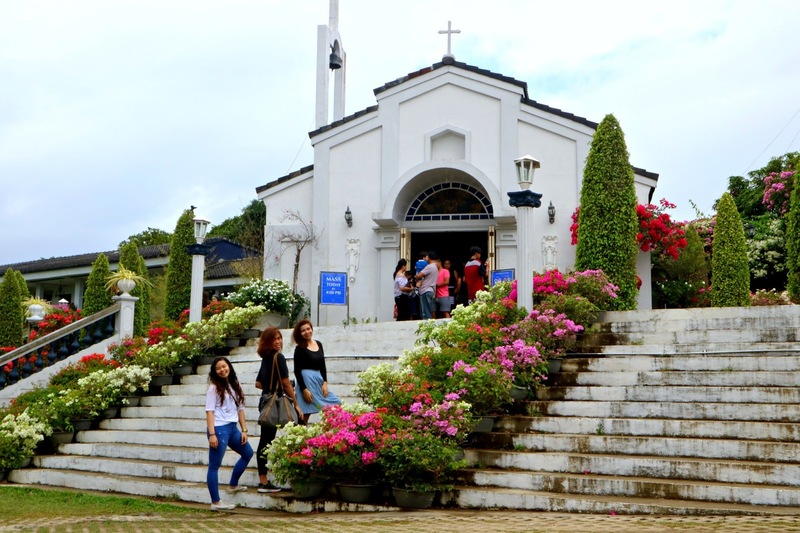 Day trips or weekend trips that's just near Manila. I am still asking myself on what made me think to tone down travelling when it's the best thing I always want to do.. maybe quarter life crisis? Lol! 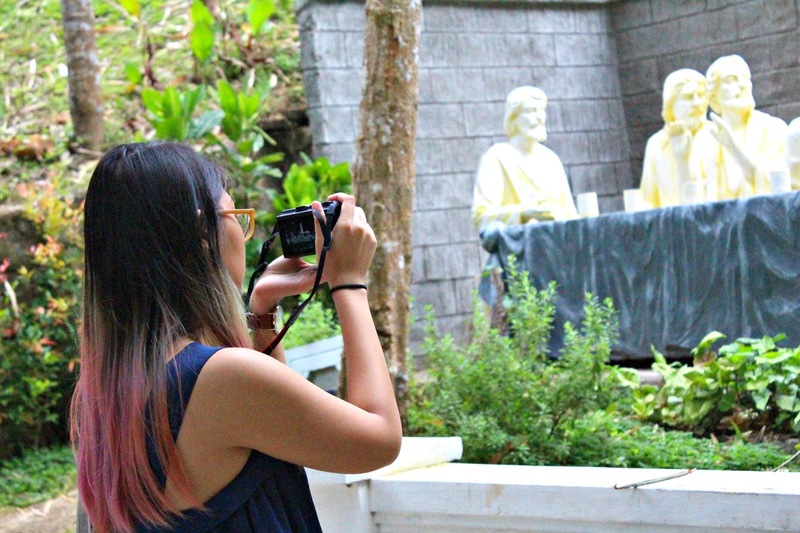 But in this era of travelling millennials, it feels like I have to set my priorities straight and know what I really want to do. They say travel while you're young and able, and I believe that.. but I don't think life will just pass if I don't travel now or it's not like those places will vanish if I don't visit them right now. Let's just say it like this: Travel slowly but surely. :D Let's just say that I'm in the stage right now where I want to know if what I'm doing right now is what I really want long term. Life goes by so fast and if you let it just go by, you will probably get lost too. I am the type that just goes with the flow. I have a lot in mind like right now I want to do this, the next day, I want to do different things.. You see, I don't know what I really want to prioritize so I'm trying focus my energy on different things. I'm hard to understand, no? Well, you don't have to. There are days when I want to work abroad but there are more days that I want to stay here and build my career. With all the things I want to do and accomplish, I myself gets pressured and overwhelmed with such stuff I want to achieve in a short period of time. Guess we all want to be ahead. I've also come to realize that if one day I just woke up and very much certain that what I'm doing right now is not what I really like, I should have plan B or plan C. I should be ready for the consequences and the life after some massive changes. Of course I won't just take decisions without thinking. I've made lots of bad decisions before and I don't want to do stuff wherein I'm not really sure of what lies ahead without thinking critically. There are just some stuff that we ought to think twice or thrice. Looks like a good destination for IG photos, eh? On a serious note, people change, even preferences change. 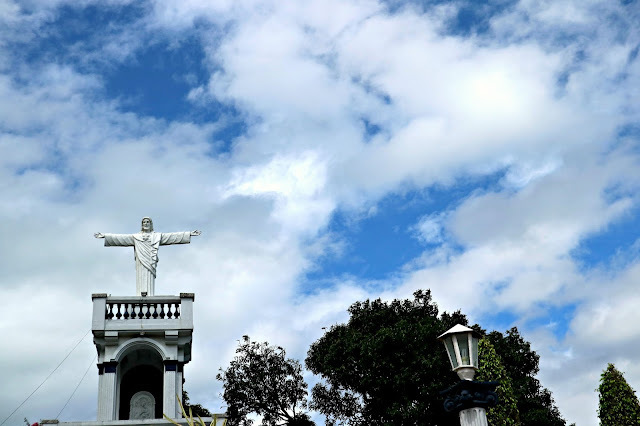 For instance, when you were saying that travel is not the same as before, as you alluded to, it is not that you do not want to travel, but you are also recognizing other priorities too. In the end, it is always best to think of increasing income, because then it allows for more chances and opportunities for future travels. It's really nice for IG photos. :D Yup, I guess people change.. priorities change. Omg, babe! 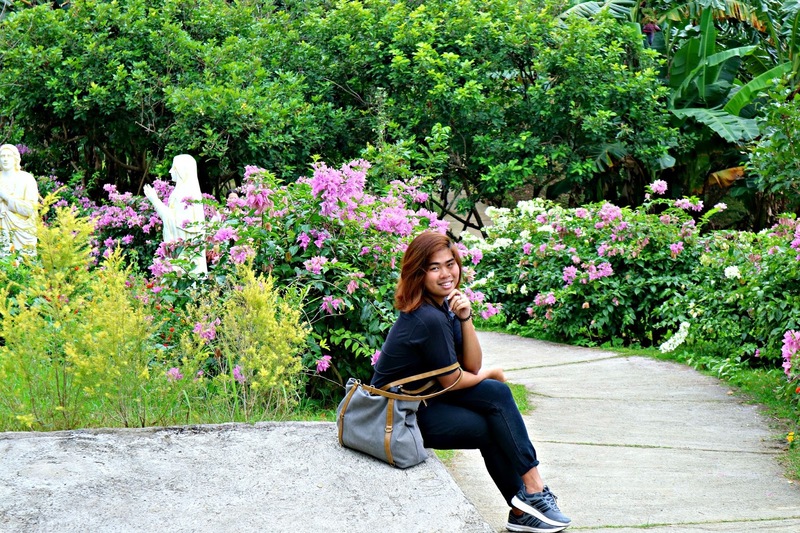 The first thing I thought when I saw your photos - the place is a perfect ootd spot. 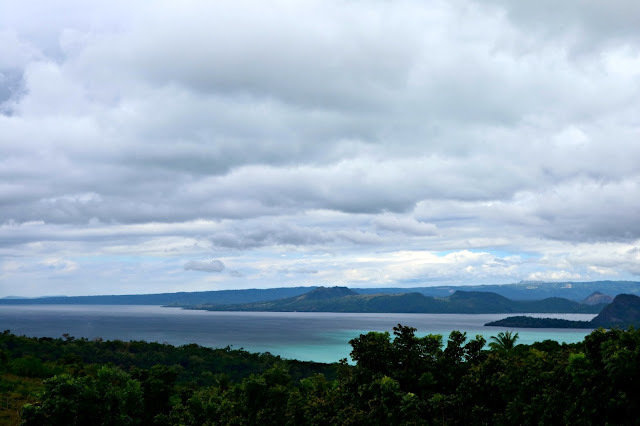 Good thing I'm from the south and nearby Tagaytay, only a few hour drive from our place. Thank you so much for sharing, hope I can visit the place too. If you didn't mention the place, I wouldn't know that these photos where taken from the Philippines. Well, I know there are a lot of beautiful places in our lovely country but I didn't know that this place existed. So, beautiful! Thank you so much for sharing your experience and your lovely photos! I love orchards and gardens in general! :) They might be super duper girly but they are so beautiful and relaxing too. All the scents and colors just make me very peaceful. I'd love to visit Philippines some day, there sure is a lot to see! Trips weekends are the best, because it's really a moment taken away from the routine. Taking an impromptu trip that's a thing I love to do, and your photos are so cool and nice!!! 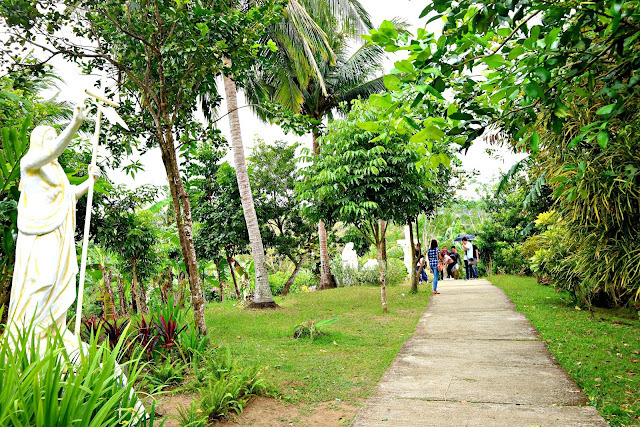 I can almost smell the freshness of the crisp air in the garden that you visited. 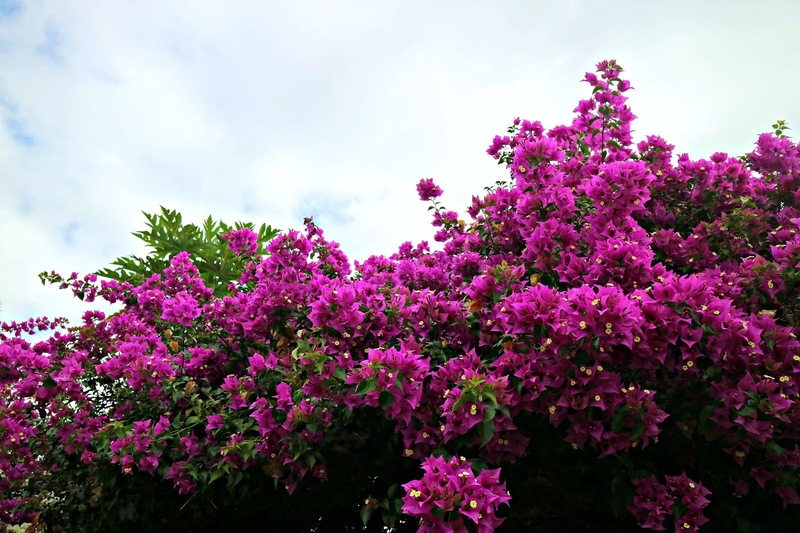 I've never seen so many bougainvilleas in my life. I love how colorful the surroundings are. I hope you will be able to find what it is that you want to do in your life. It's healthy to take a pause sometimes. I wish you well! I adore flowers. One of my dream job if I was not a teacher is to be a florist. I want to be surrounded by flowers. I want to go here, but Batangas would be really too far from us here in Pampanga. But thanks to your post, I know where to go whenever I am in the province. I just learned about this place because of you. Btw, your hair looks so pretty! The place reminds me of Kawa-Kawa in our province. It looks similar because it has flowers too. This is so refreshing and calming. A must visit! Road trips are cool! When you want to travel but broke, road trips are the best. This place is definitely worth more than 50 pesos. The place looks really nice and well-kept. I would have been better if there were restaurants so that people can enjoy the view while eating. Are pets allowed to visit this place too? I'm not sure about the pets, Marissa. Though I haven't seen one during our visit. I am not much of a south person, either, as I live in the north. This is just a lovely place to spend an equally beautiful afternoon with the family. There are many places I would love to visit in the south soon and I am including this in my long list. Hopefully, we can visit these place soon enough. 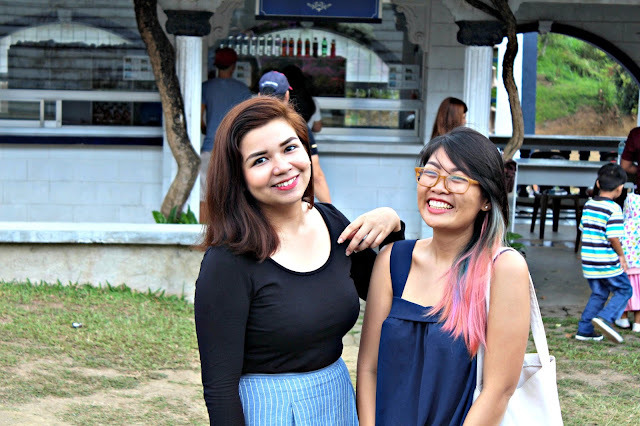 I know the Ian that you mentioned :) I met him at a Tagaytay food crawl. Hahaha! 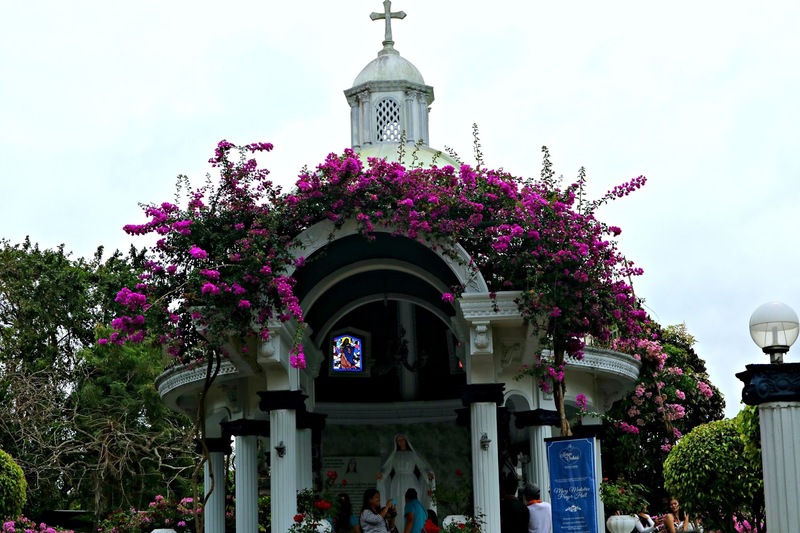 Anyway, I agree with you that the Marian Orchard is insta-worthy. You'll have instant shots. And the admission fee is just P 50. It's so nice. I'll certainly pick that over Cintai Corito Garden if I'm low on budget.